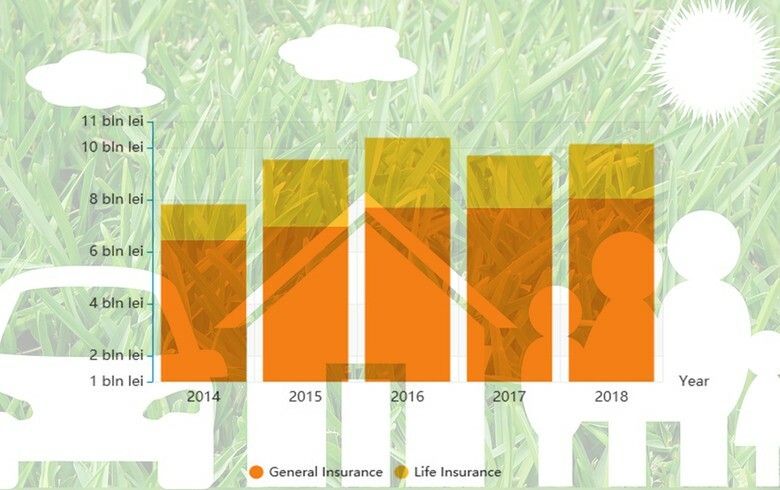 BUCHAREST (Romania), March 21 (SeeNews) – The gross written premiums (GWP) of Romanian insurers increased 4.5% on the year to 10.14 billion lei ($2.4 billion/2.1 million euro) in 2018, the country's financial regulator ASF said. Last year was characterized by an improvement in solvency ratios, ASF said in a press release on Wednesday. At the end of December, all insurance companies met both the Solvency Capital Requirement (SCR) and the Minimum Capital Requirements (MCR). The SCR rate at the market level was 1.71, while the MCR rate recorded a value of 3.87. At the end of 2018, gross technical reserves constituted by insurance companies totalled 16 billion lei, 5% higher year-on-year. The insurance market in Romania is characterized by a medium to high degree of concentration, ASF noted. In 2018, some 89% of the total gross written premiums were achieved by 10 insurance companies out of the 29.